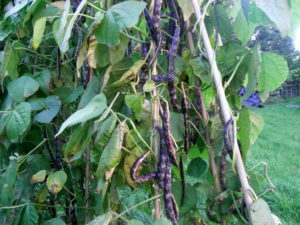 Veganic gardening is a method of growing edible food plants without the use of chemical fertilizers, pesticides, or animal inputs such as manure, blood, or bone.This type of gardening employs methods and techniques that ensure fertility is created onsite. The veganic gardener aims to reduce reliance on outside sources as much as possible. To support these aims, veganic gardeners employ crop rotation, green manure, composting, and mulching. Crop rotation typically happens on a seven year cycle. 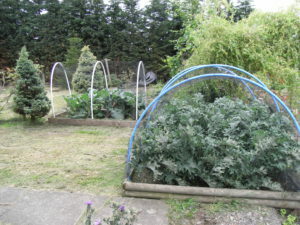 A popular cycle starts with green manure, then moves to potatoes, back to green manure, then onto brassicas, onions, root vegetables, and lastly, squash and sweet corn. Green manures are harvested at the end of their cycles and left on the beds from which they grew in order to breakdown and provide healthy organic matter for the next cycle of growth. Green manure plants are also grown over winter, and sometimes concurrently with other crops. 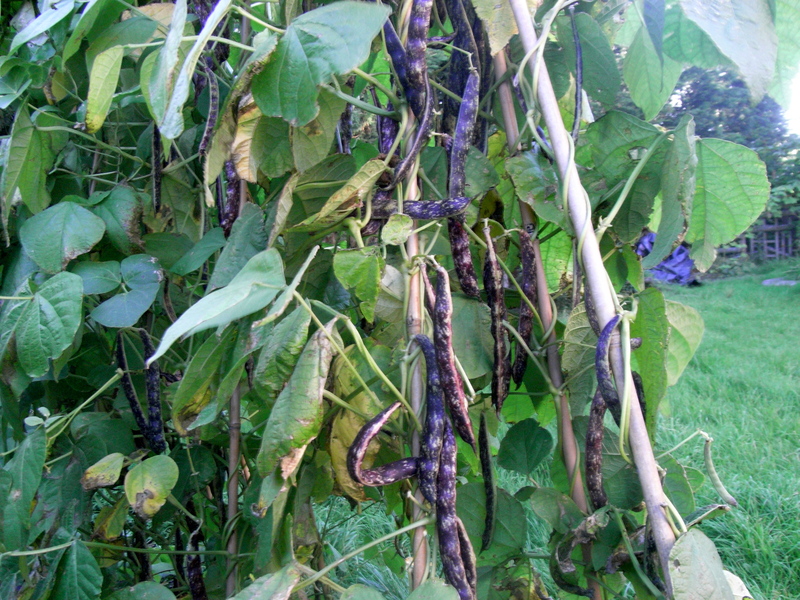 Wisely Magic beans growing in the author’s veganic garden. There are many reasons that veganic gardeners choose to avoid animal manures and by-products in growing their food. Some make this choice because animals have higher Feed Conversion Ratios and require more land than vegetable farming. Other gardeners are trying to make the most efficient closed-system, bypassing reliance on outside sources of fertility. Often, many of these gardeners are also avoiding the antibiotics, drugs, and pesticides often found in animal manure. Some gardeners employ veganic gardening as an extension of their vegan lifestyle, which minimizes harm and avoids the consumption and exploitation of other animals. But Where Do You Get Your Nitrogen? Veganic gardeners are often asked how nitrogen is obtained in their soil, since the most commonly-used nitrogen-source for organic food production is animal manure. 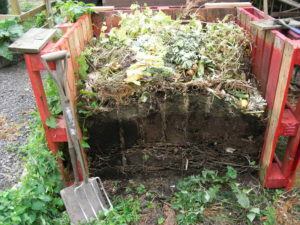 The author’s veganic compost, ready to be used on beds. Nitrogen can be sourced from growing and re-incorporating into the soil nitrogen-fixing green manure plants such as clover and lucerne. 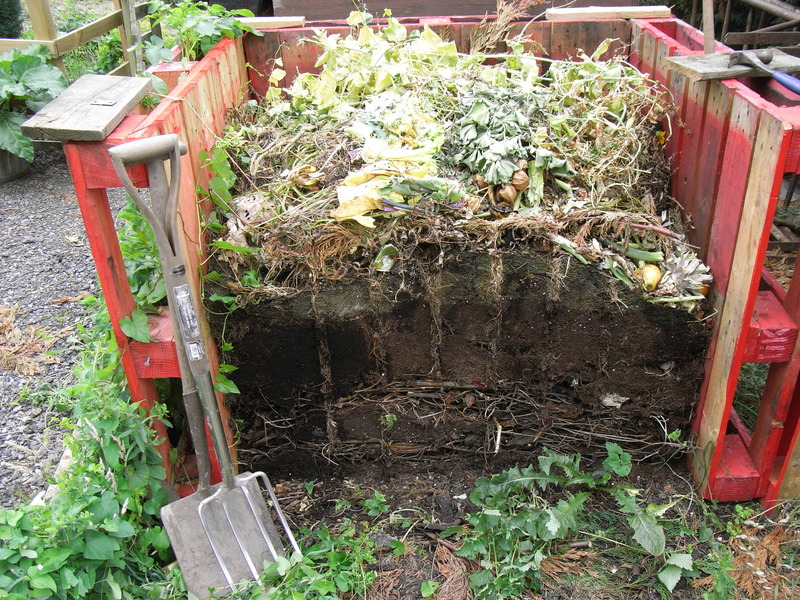 Balanced compost contains nitrogen from decomposed “green” materials. Mulches and teas made from nettle and comfrey are nitrogen sources, as well. Can it Be Done Commercially? Yes, there are commercial veganic farms in Germany, the United Kingdom, Canada, the United States, France, India, New Zealand, Australia, and Argentina. There is an ever-growing number of non-commercial veganic gardeners around the world utilizing veganic techniques in their own backyards. 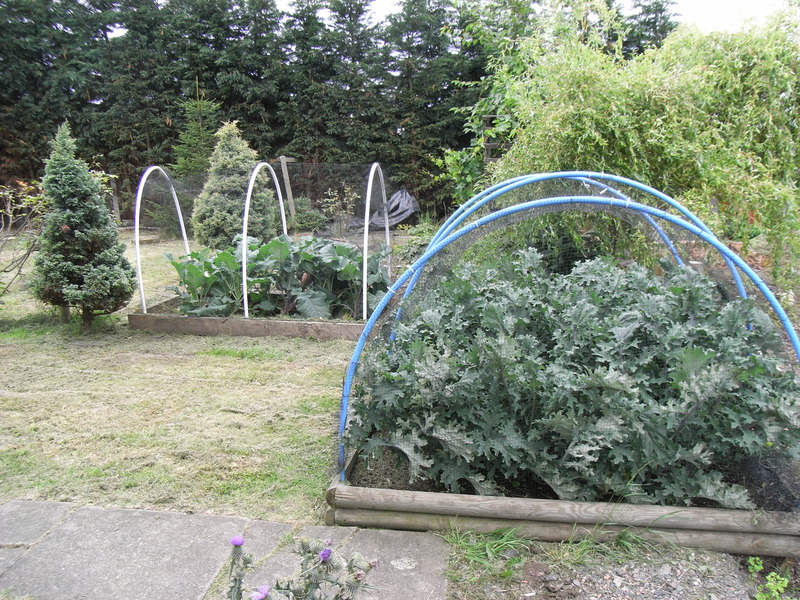 The basic principles of veganic gardening can be applied on small and large scale gardens and farms. It’s an extremely accessible form of food production. Growing Our Own: A Guide to Vegan Gardening by Kathleen Jannaway, and Veganic Gardening- The Alternative System for Healthier Crops by Kenneth Dalziel O’Brien. Websites with educational resources include http://veganorganic.net/ and http://stockfreeorganic.net/. Caitlin Campbell with her husband Daley and daughter Melody (she’s 4 and a half). 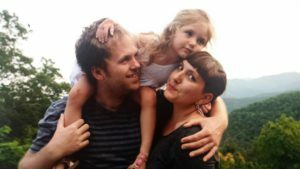 Caitlin Campbell lives in Black Mountain, NC with her husband, daughter, and two dogs. She works as a communications and marketing professional for Brother Wolf Animal Rescue. 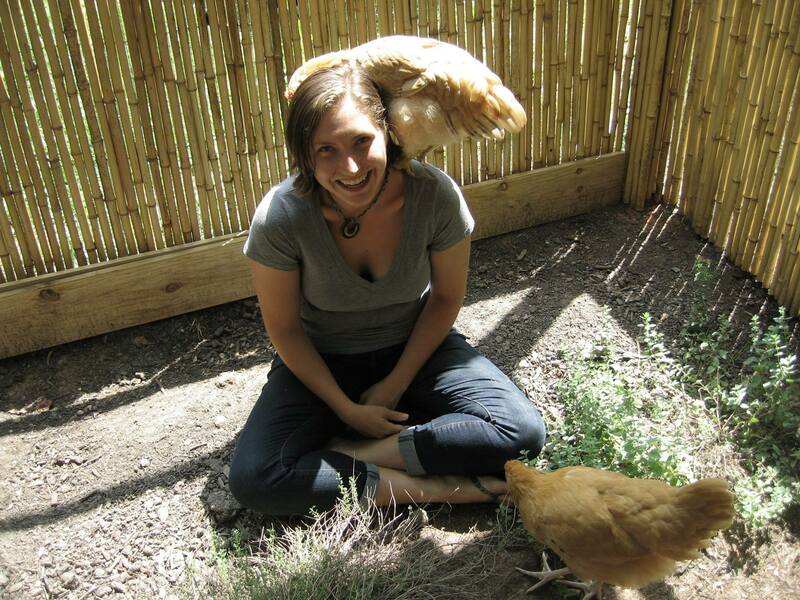 She enjoys small scale veganic gardening at home, hiking, and volunteering for animals in need. Hi Caitlin! Based on the first picture, I’m wondering if you have chickens. If so, do you avoid using their manure in the garden? If so, what do you do with it? Thanks! Hi Patrick! The first photo was taken at a friend’s sanctuary, actually. I do not rescue chickens at the moment, so do not deal with their poo. At many sanctuaries that also have veganic gardens, the poo is composted and brought to wooded areas or sometimes used in (mostly non-edible) gardens.